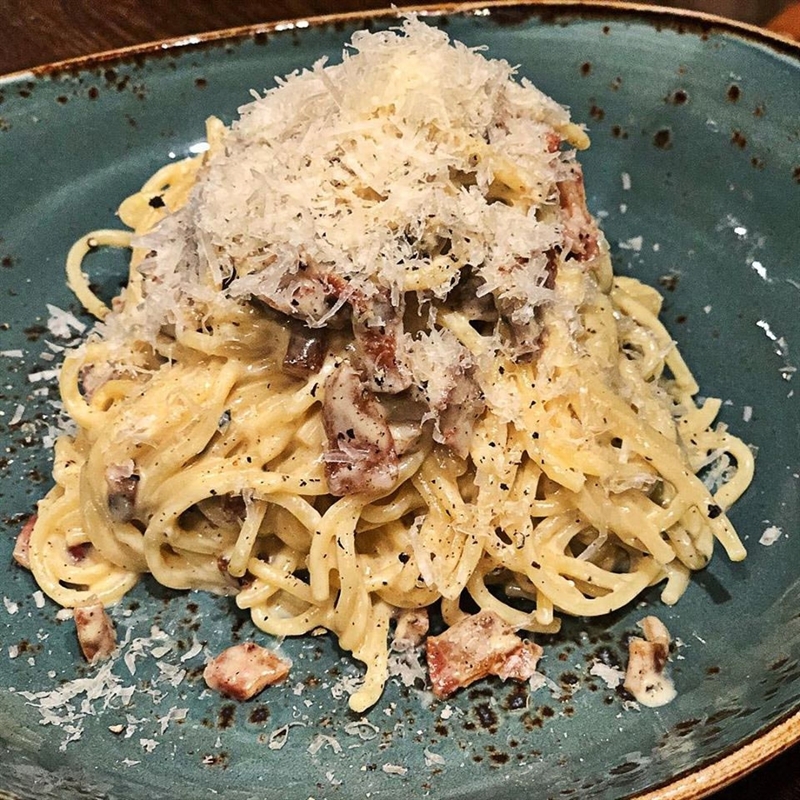 Pappardelle al Porcini: housemade pappardelle served with Italian porcini mushrooms, chives, extra virgin olive oil, parsley, Parmesan and black pepper. 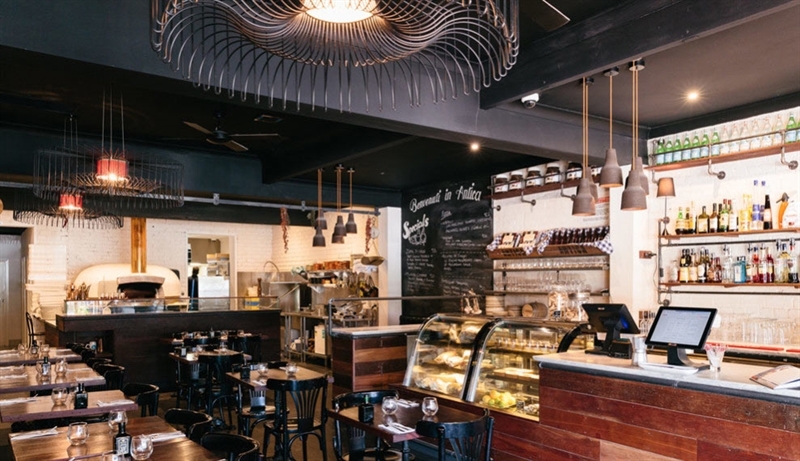 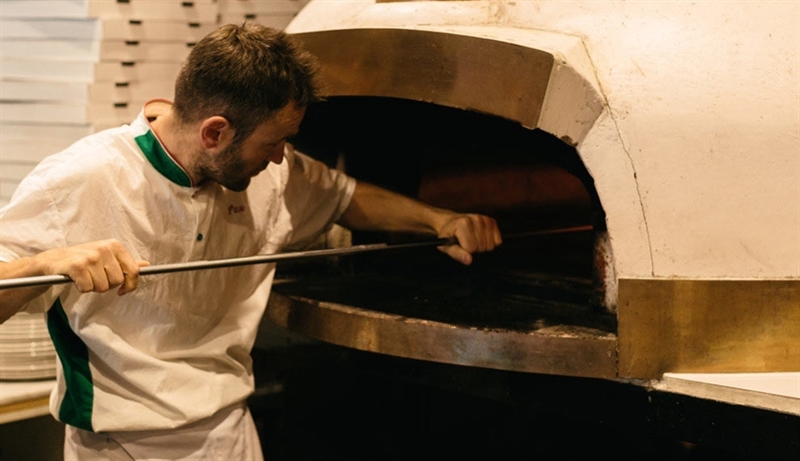 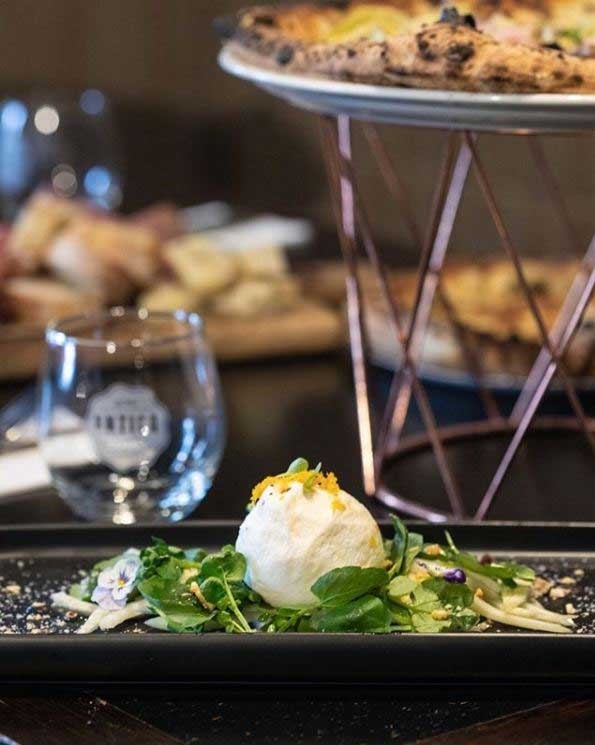 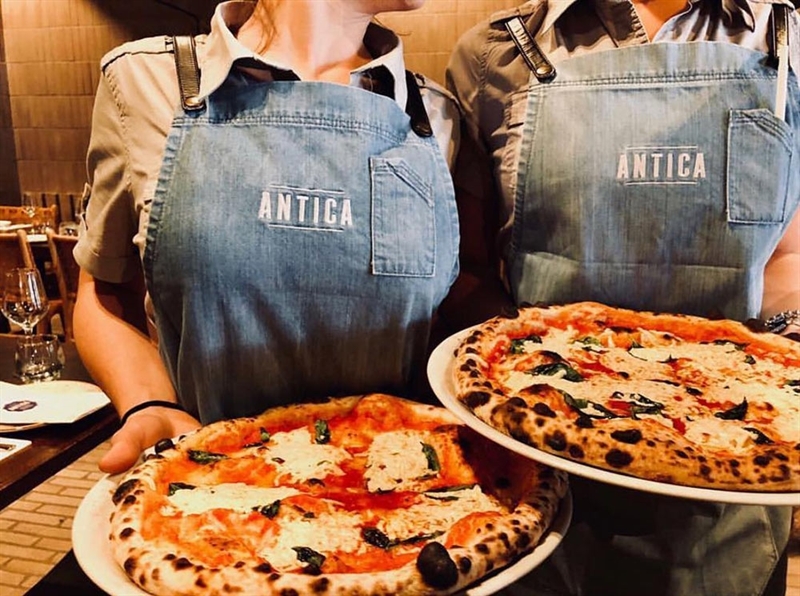 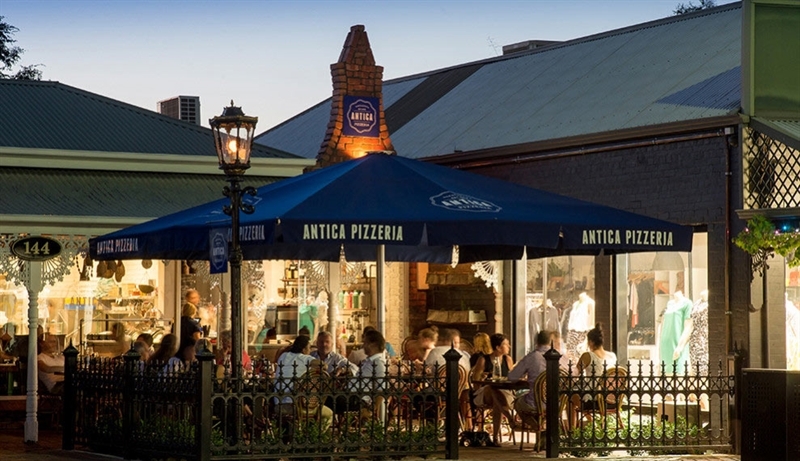 Follow the tantalising aromas of wood fired pizza to Antica on King William Road in Hyde Park. 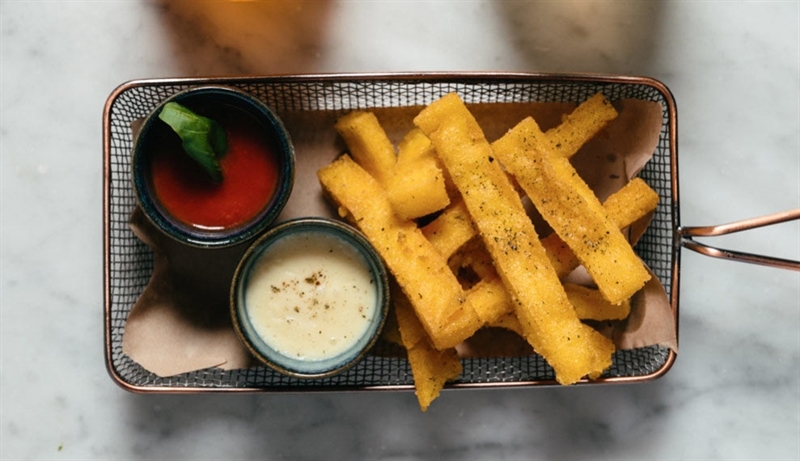 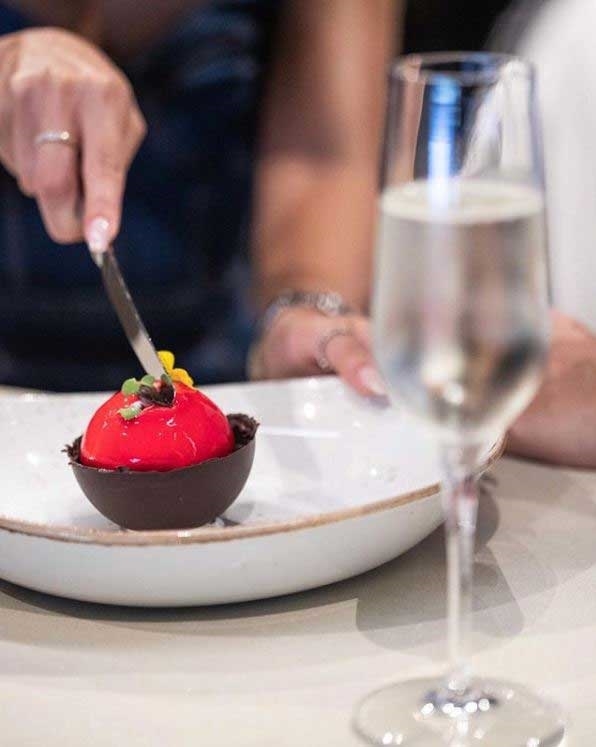 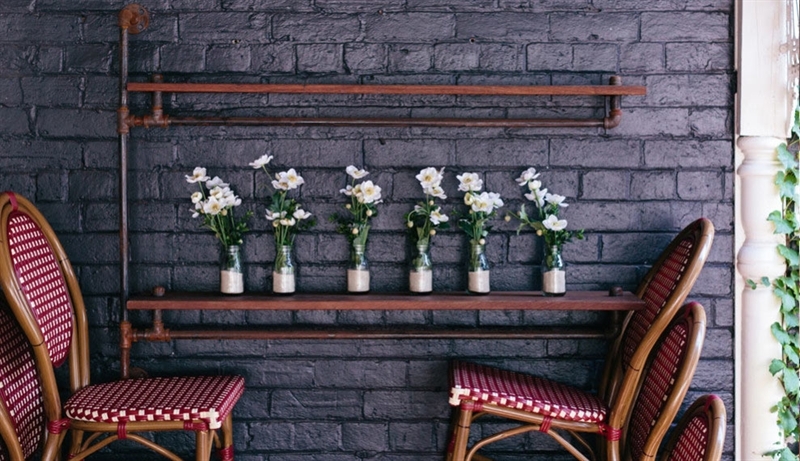 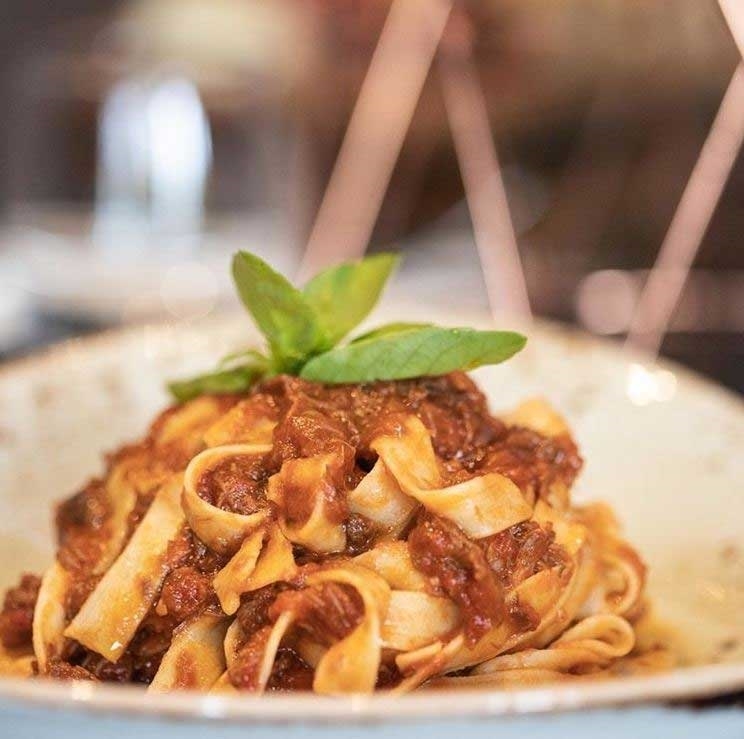 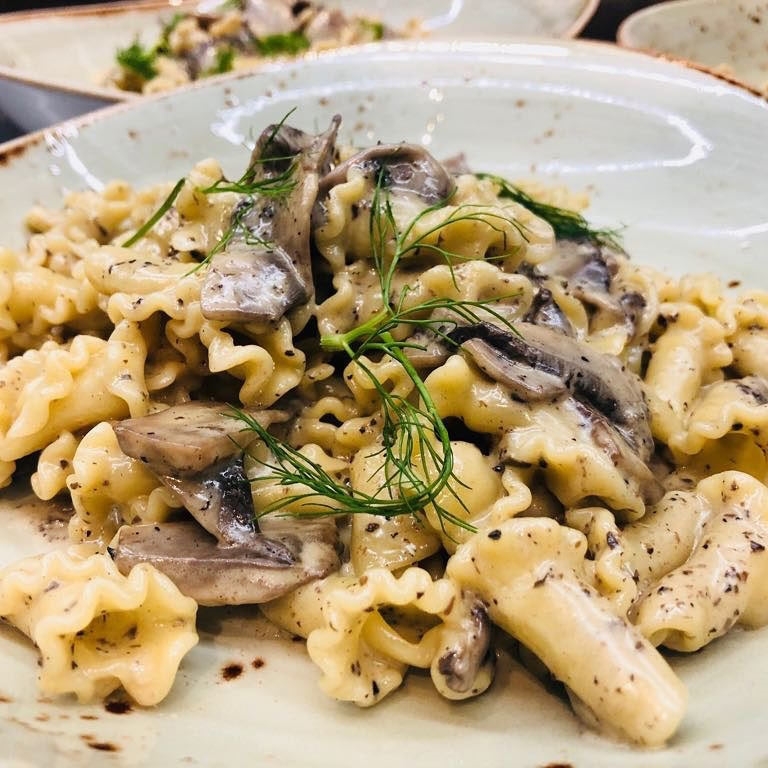 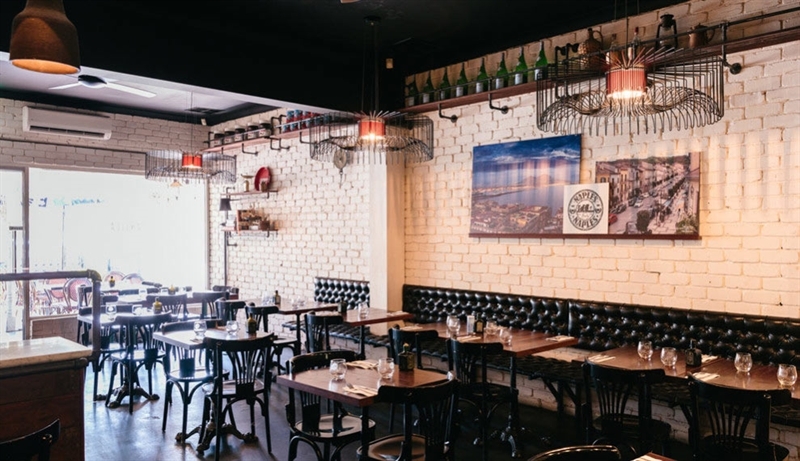 From the food to the fit out, expect a seamless Italian experience at this chic and trendy restaurant where whitewashed brick and black leather combine to set a chilled-out vibe and statement light fittings cast a soft glow over intimate table settings. 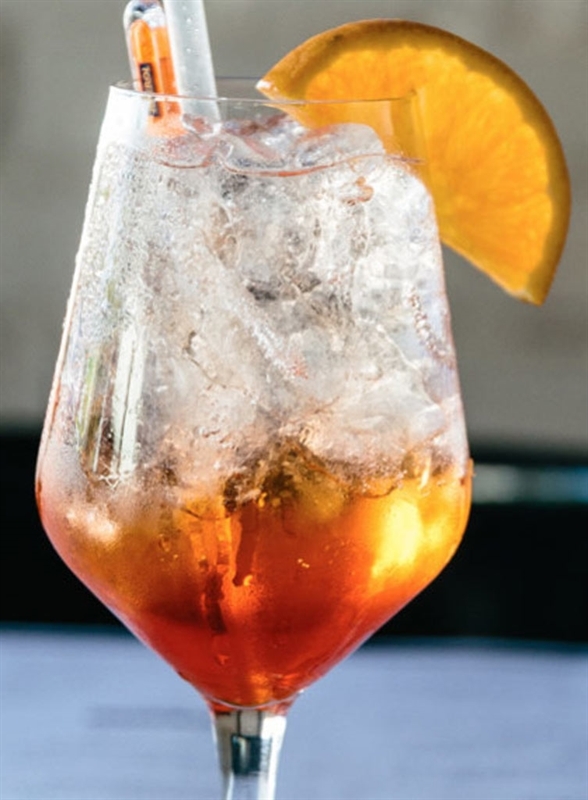 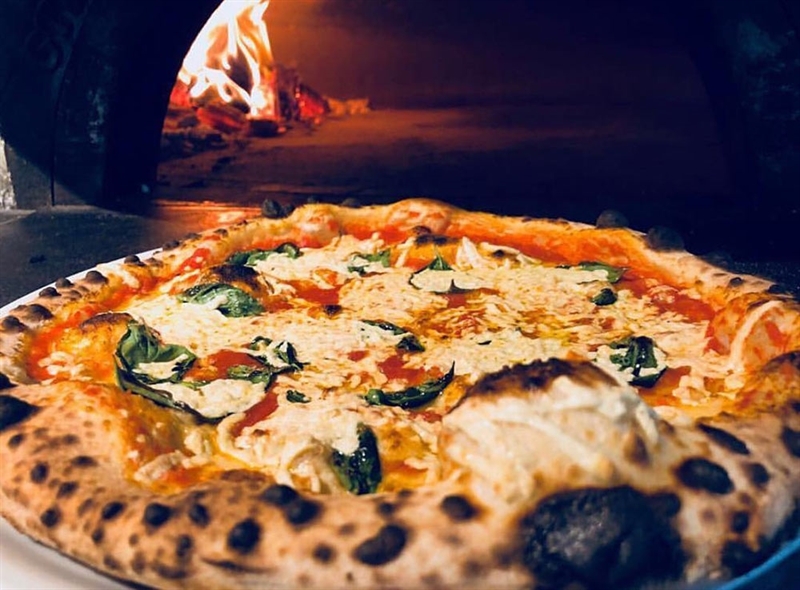 Dine alfresco on red and white checked cane furniture, while pondering a menu highlighting signature pizzas, fresh housemade pasta and delicious dolce choices. 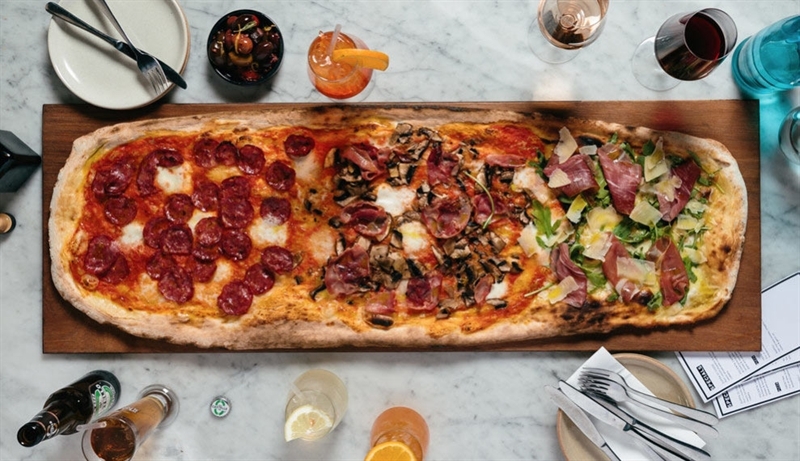 Those with ravenous appetites may opt for the infamous one metre pizza with a choice of three toppings, or perhaps pick up a slice of gamberi – with garlic prawns, fior di latte, grilled zucchini and cherry tomatoes; while pasta lovers won’t go past gnocchi with basil and macadamia pesto.